1. You produce mainly natural edged pieces; why do you like to work with the timber in this state? Wood with its natural beauty is what I enjoy most. 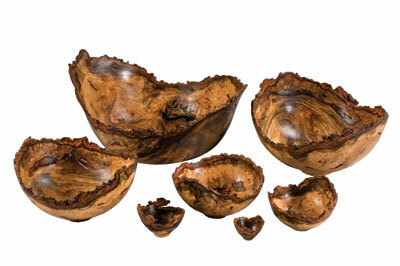 By producing natural edge bowls, I am able to unveil that beauty while preserving an element of the tree. 2. In your opinion, does living in Hawaii influence your work in any way? We are fortunate to have such exotic woods to work with here, so the artwork is mostly done before the log gets to the lathe. It's nice having the windows open all year, too! I am amazed at how open most turners are to sharing their 'secrets' with each other. That does wonders for advancing the field of turning. I only wish there was more time. I need to get pushed out of my comfort zone to try new things. Itâ€™s too easy to become a production turner doing the same things repeatedly. 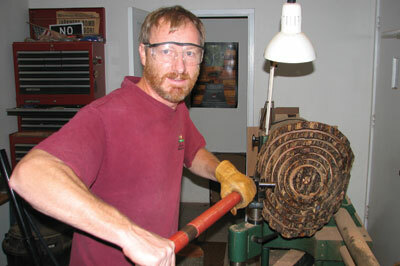 It's easy to get rich woodturning. It's just hard to make much money at it. As Ron Kent once told me, â€œStop turning when it's no longer funâ€. I enjoy any music that has some soul in it. I'm not much of a reader, but the Bible would have to be my favourite book. I have a garage full of wood, and shelves full of roughed out nested bowl sets. I tend to work on things in batches, and am currently finishing sets that have been drying for the past year. Wow, I could write a whole chapter on the people who have influenced me. I learn a little from each turner I encounter, and appreciate those who are willing to share their ideas without suggesting their way is the best. It's hard to pick one thing, but I sure am thankful for four-jaw chucks and the quality of tool steel currently available. Iâ€™ll save enough time for my own creative turning. 11. 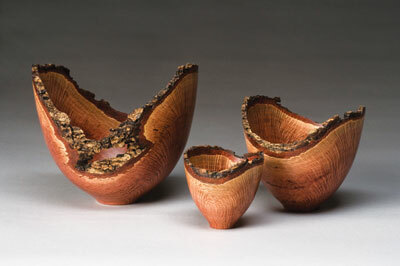 What do you see as the biggest thing that has hindered the development of woodturning in general? I think things have come a long way. The cost of the equipment involved and the low return on investment probably slows the growth, but thatâ€™s what keeps the woodturning community such a great bunch of people. Regrets aren't worth much because you can't change the past. I hope to learn from that, and make the most efficient use of the time I have left on this planet.